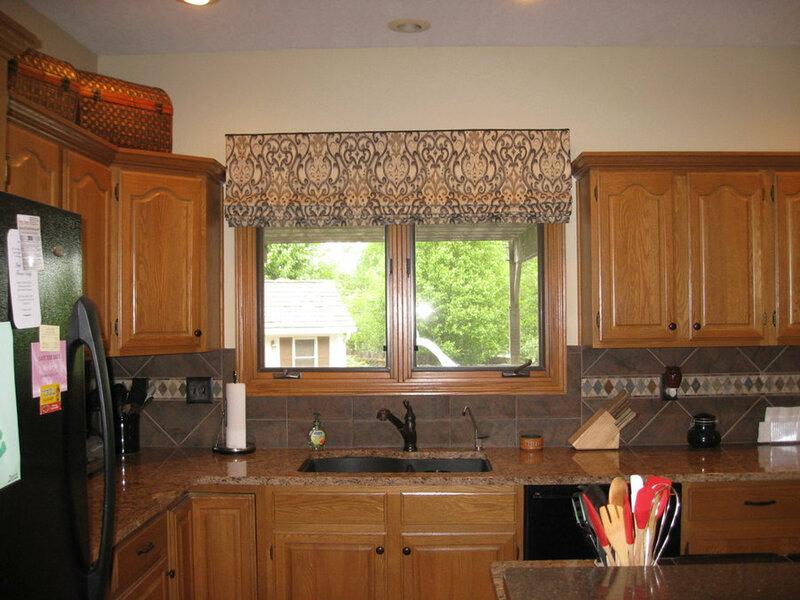 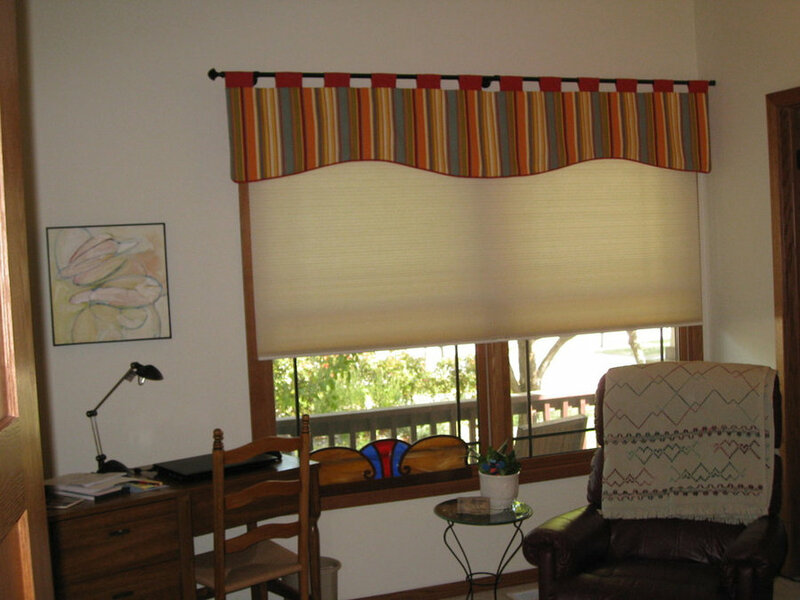 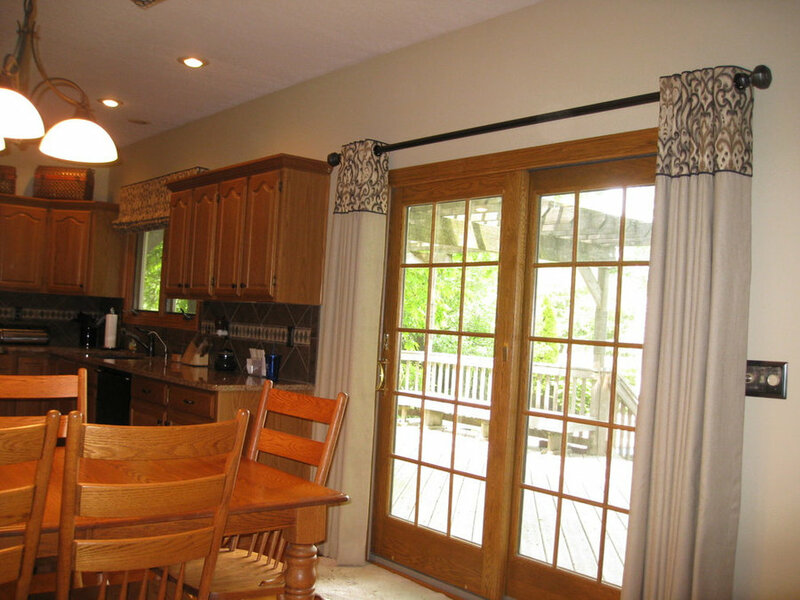 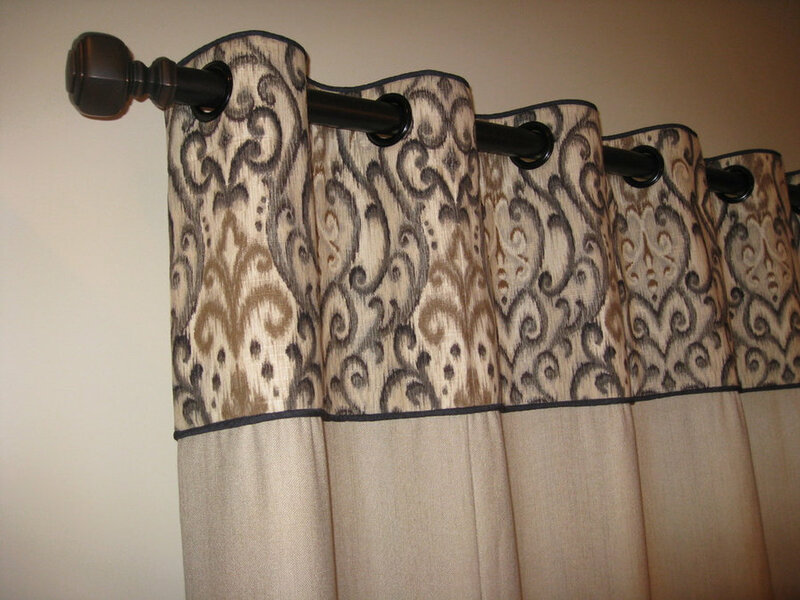 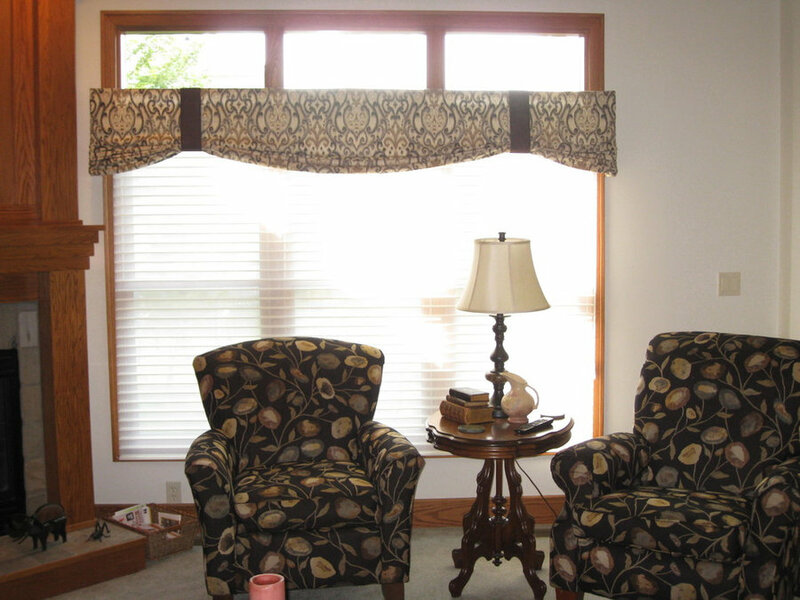 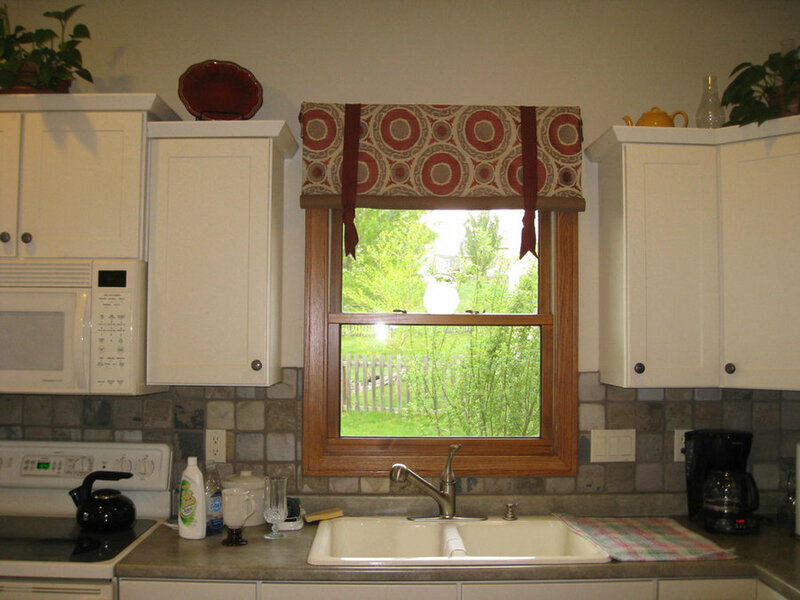 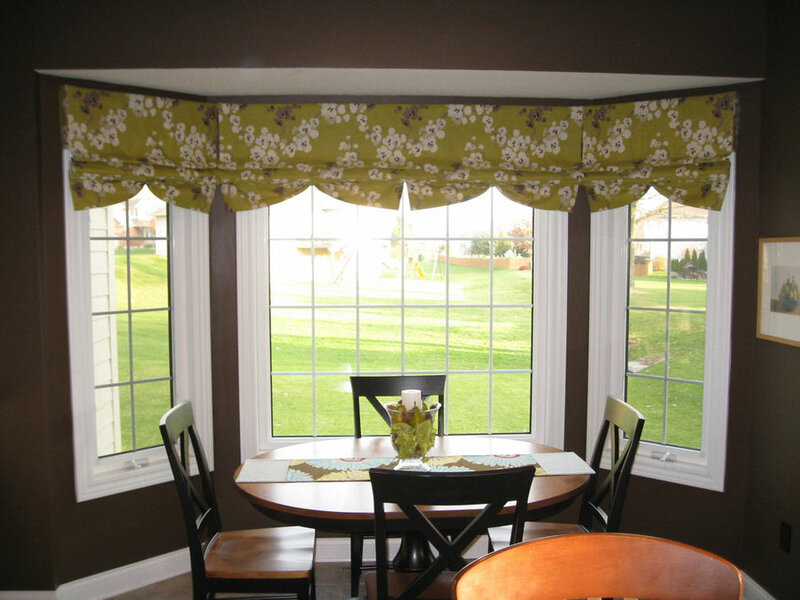 Window treatment designed to coordinate with existing quilt. 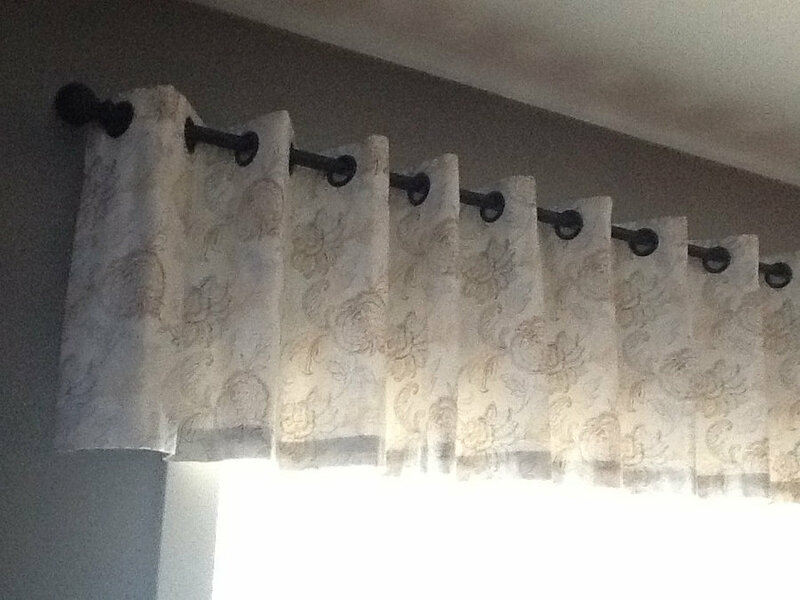 Cornice. 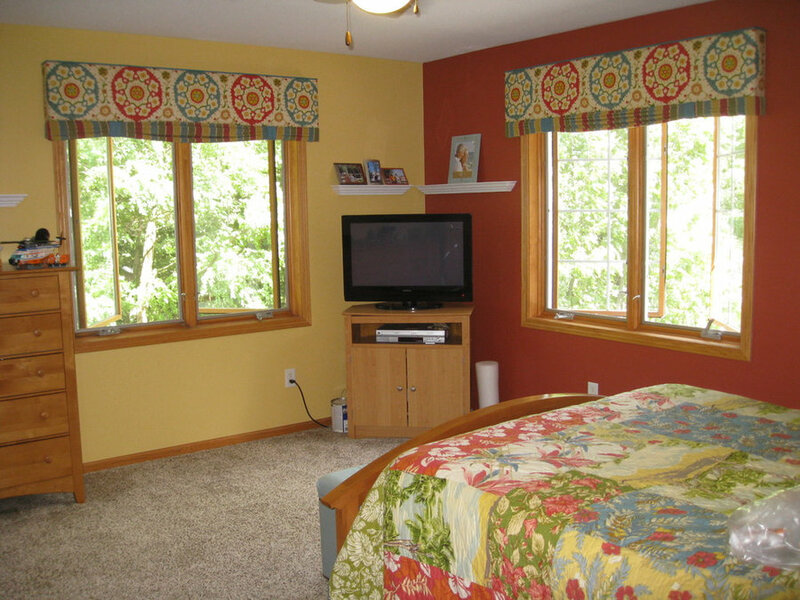 Client wanted to bring their memories of Hawaii to this guest bedroom. 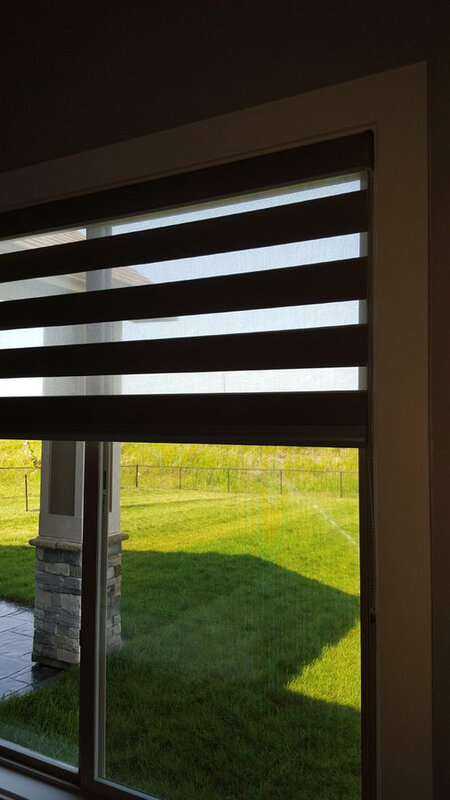 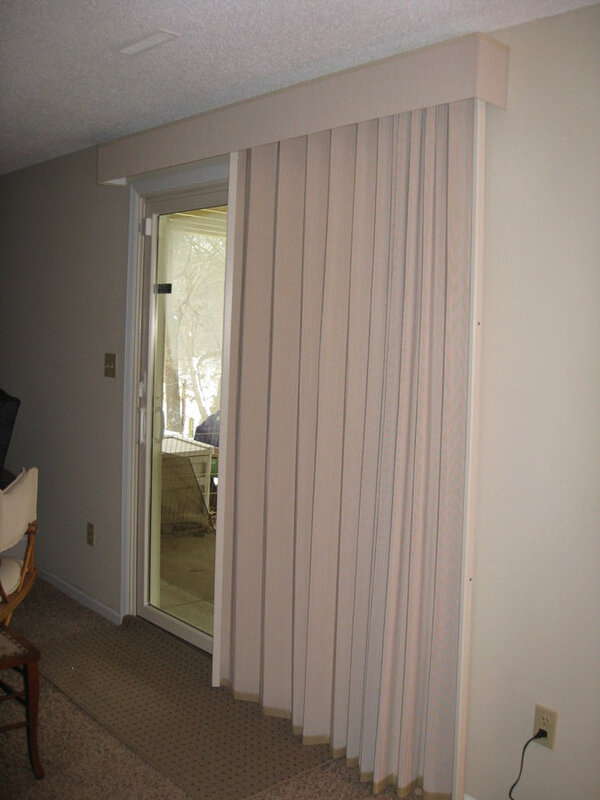 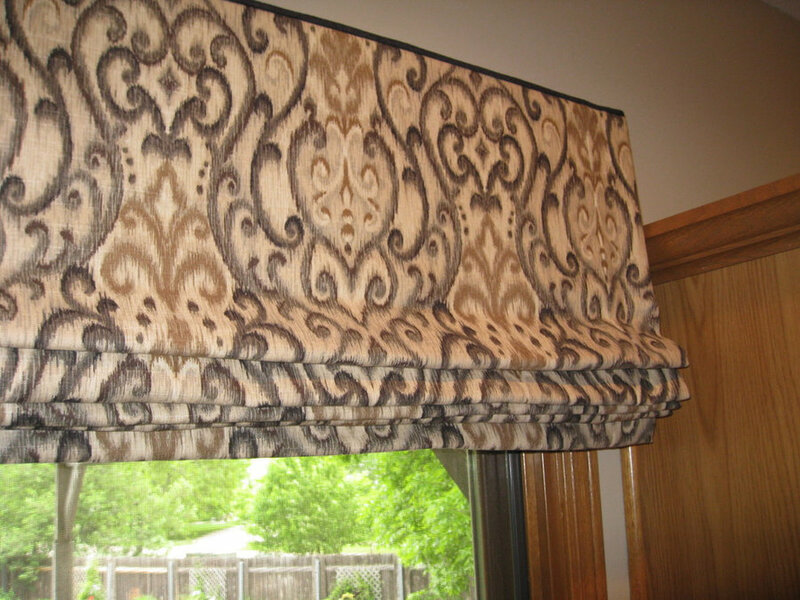 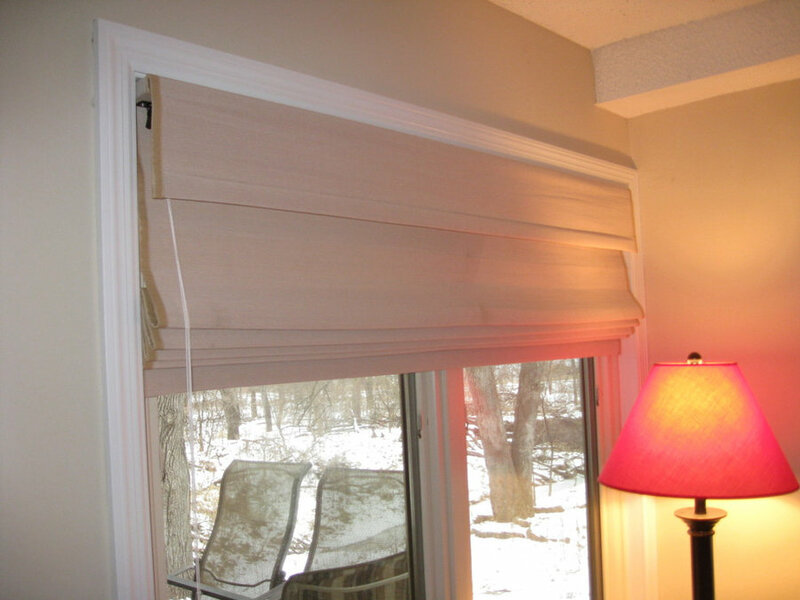 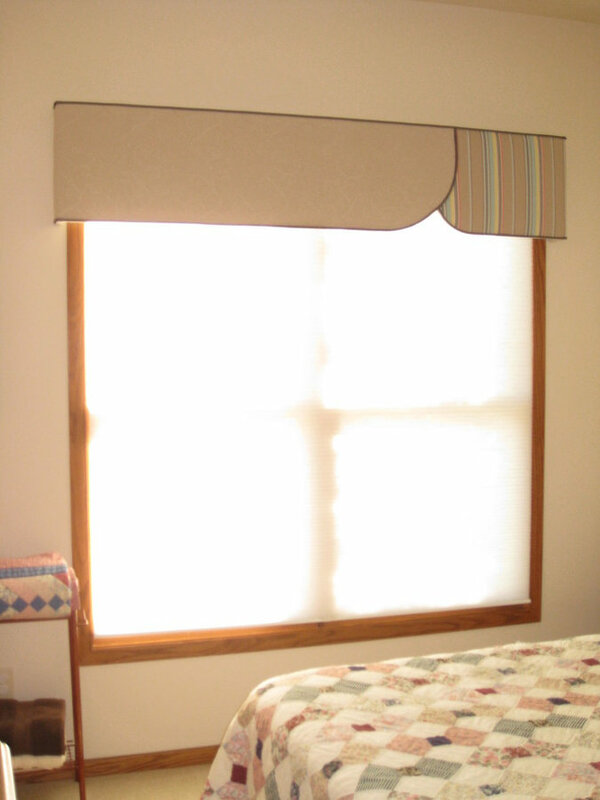 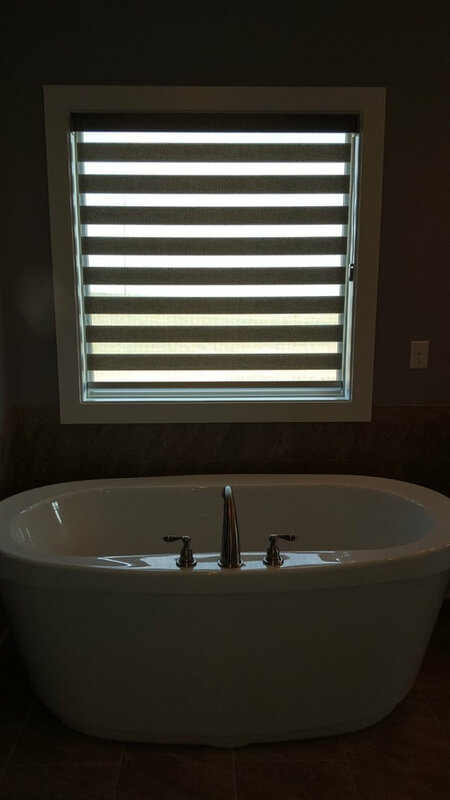 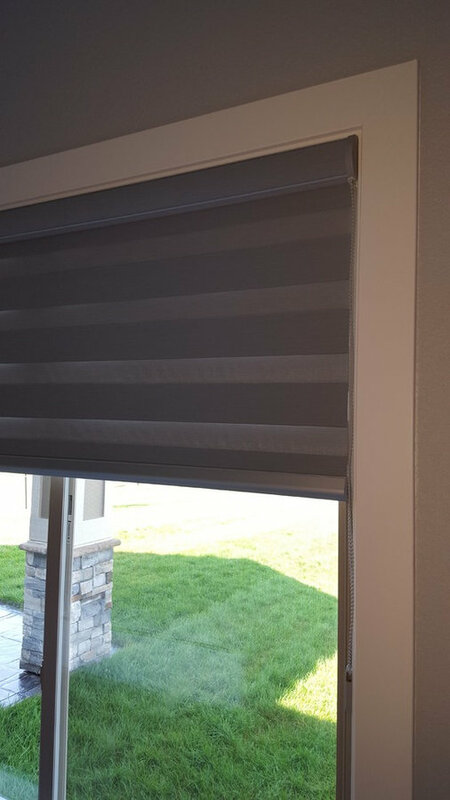 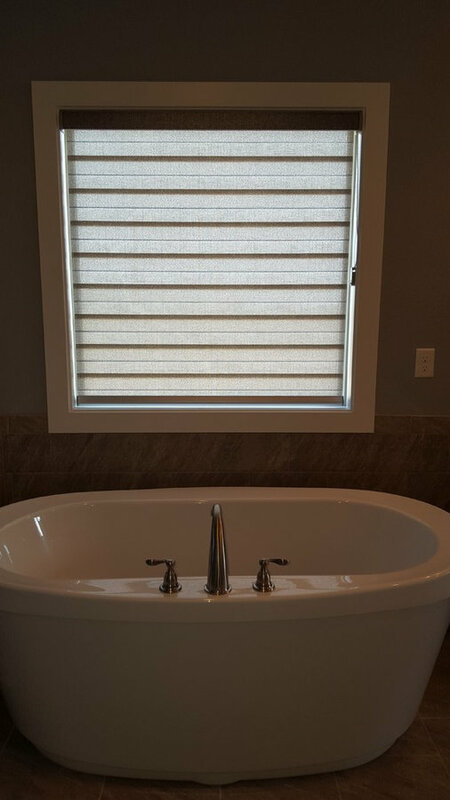 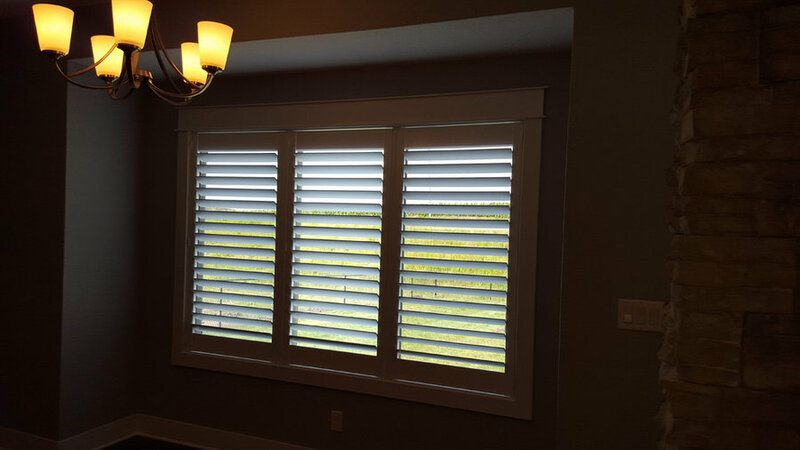 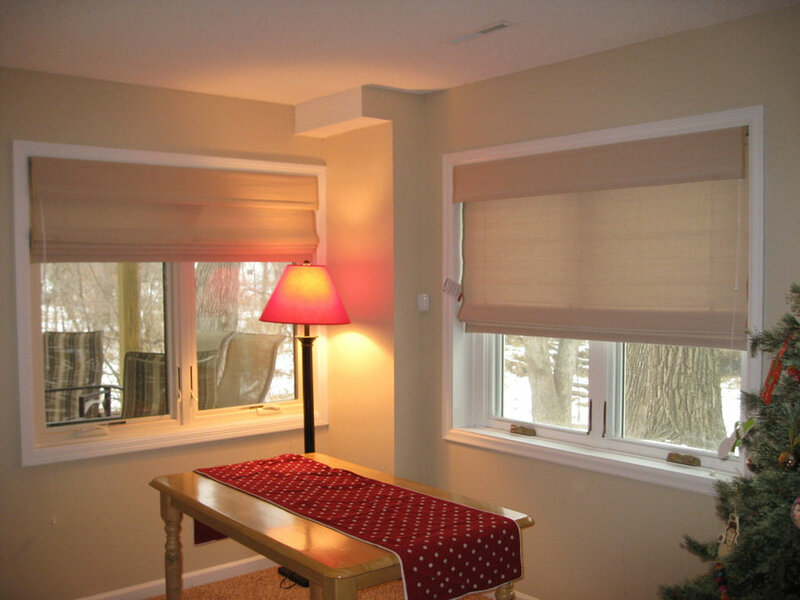 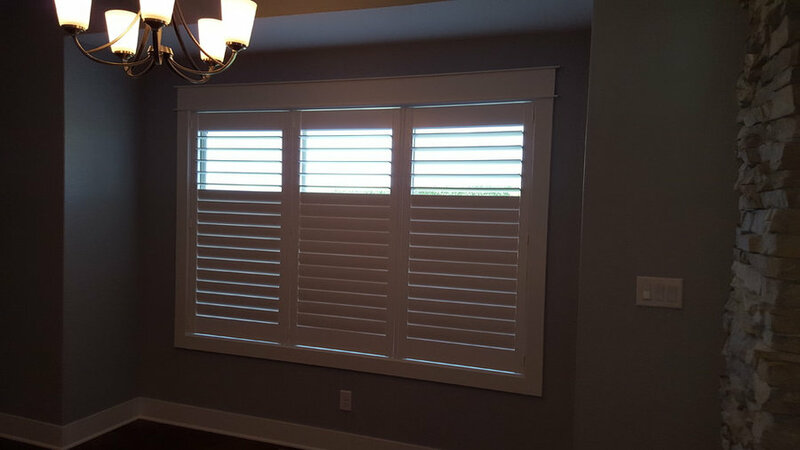 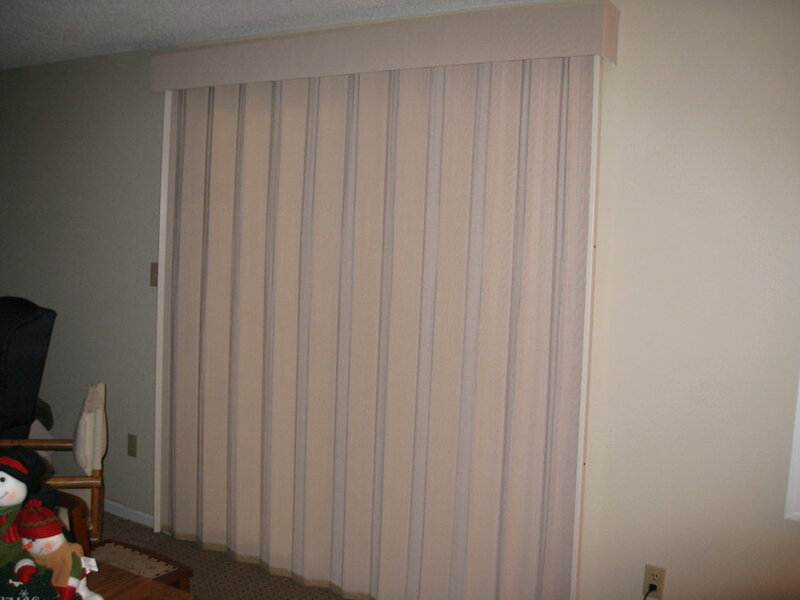 We did some custom Honeycomb blinds and window valance top treatments to go with her existing bedding.